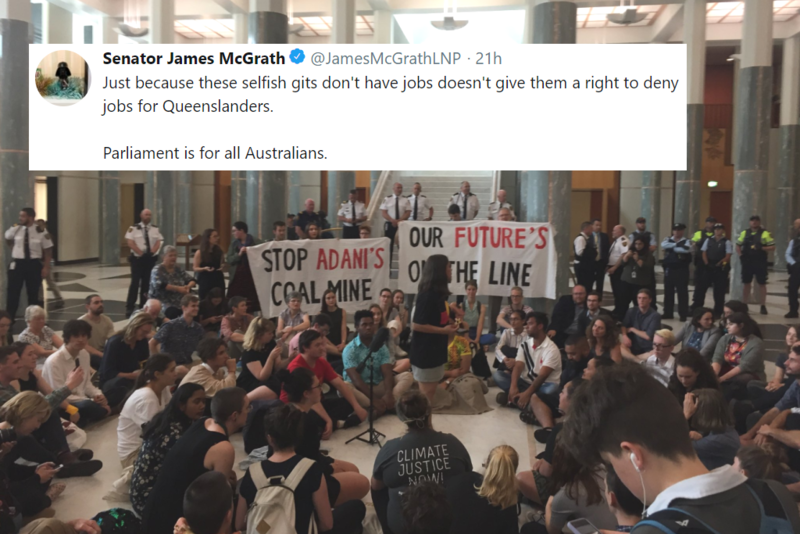 McGrath, a vocal supporter of the controversial Adani coal mine, tweeted a photo of the protesters and called them “selfish gits”. Just because these selfish gits don’t have jobs doesn’t give them a right to deny jobs for Queenslanders. I guess the Liberal Party is pro-child labour now? Weird. While it’s true that there were some adults present at the protest, McGrath has still been roundly roasted for his remarks. Mate, it’s far too early in the day to be this cooked.